This post was created in partnership with Sears Home Improvement. All opinions are my own. When it comes to improving your home, there are few things better than making your home more energy efficient. This can be accomplished in a number of ways, but some of the best and most obvious ways that sometimes get overlooked in today’s tech-obsessed world is improving your home’s major exterior features – Roofing, Siding, and Windows. Let’s start off with what could be, um, top of mind. Your roof. It’s almost an afterthought, a concern for most people only when (God forbid) there’s water leaking into your house. While keeping you and yours warm and dry is the reason the roof is there in the first place, you’d be surprised how much more efficient your home can become when you look to make improvements before emergencies occur. 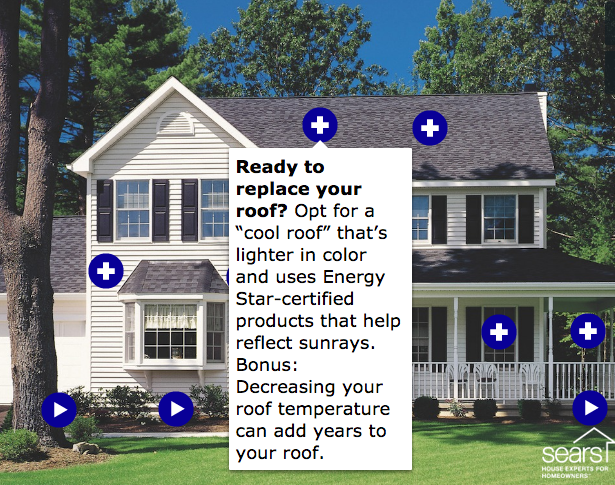 There are actually a number of ways to make your roof more energy efficient. Check them out here. Pretty good, right? Energy-efficient roofing can help maintain optimal indoor temperature and maximize energy efficiency all year round, which can also help you lower your monthly bills and save money. Money…literally. So, if you’re thinking that you don’t need a new roof, you may or may not be right. On average, a roof lasts about 20 to 25 years. But a roof can need replacement much sooner for several reasons, including hail damage, poor attic ventilation, low-quality roofing materials or poor roof installation. Click here for some pointers on how to inspect your roof to help to prevent leaks and save energy — and how to know when it’s time for a new roof. For people looking for roof installation, & replacement services that will last a lifetime, Sears Home Improvement has the best-in-class product (Owens-Corning) backed by Sears and offers a limited lifetime warranty on your roofing installation & replacement services. Sears even strives to offer same day/next day appointment availability for roofing replacement projects!!! 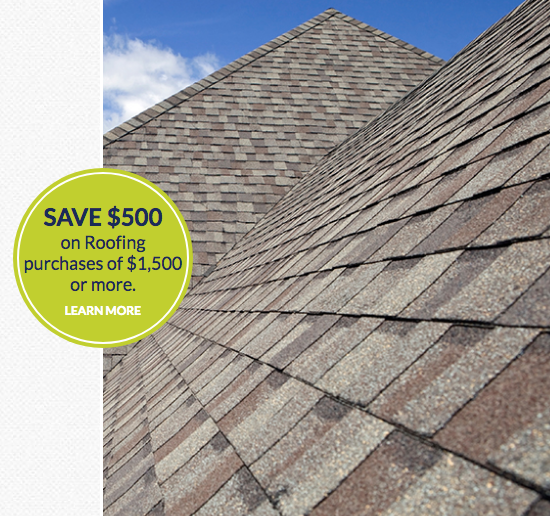 To help you get a jump on this, here’s the Top 10 Tips for Replacing Your Roof. Ok, so you’re getting a new roof backed by sick service and warranty. I can dig that. But while the top of your home will now be brand new and super energy efficient, what about that rest of you home? One of the best and more simple ways to increase both energy efficiency and curb appeal is to get new siding. For me, the easiest maintenance and best return on my investment has to be vinyl siding. Plus, there are added benefits for those (like me) that live in cold-weather climates! It’s what I have on my own home and I love it. For people interested in a maintenance-free, long-lasting and aesthetically pleasing way to update the exterior of their home, Sears Home Improvement siding experts will ensure your home is well protected. While it can seem overwhelming deciding on the right siding for your home, Weatherbeater® is fantastic siding that is weather resistant, low maintenance, and durable—it’s an easy-care, low-cost option compared to other types of siding. Sears offers three grades of energy-efficient vinyl siding options in all the popular colors—all backed by a great warranty. All Sears siding installation includes foam insulation for increased energy-efficiency. Siding installation includes 3/4 inch foam behind the siding which offers additional energy efficiency. 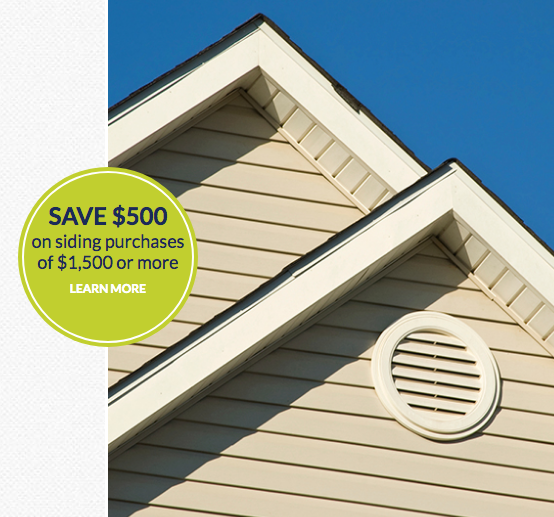 Easy, and you won’t believe how great your home will look with new vinyl siding. Seriously, it will be like a brand new house. Finally, after changing up all the siding covering all those walls, it might be time to consider our windows. I think at this point, most people really grasp the importance of having great windows, though most people need some hacks when trying to clean them. Or is that just me? Anyway, sometimes you’re just not sure when it’s time to replace them, but the sooner the better as it makes a world of difference in the comfort you and your family experience in your home. No more drafts! When deciding what to look for when you go window shopping, yes literally window shopping, here are the Top Ten Buying Tips for New Windows as well as 6 Game-Changing Window Innovations. These are really interesting and should be a huge help. 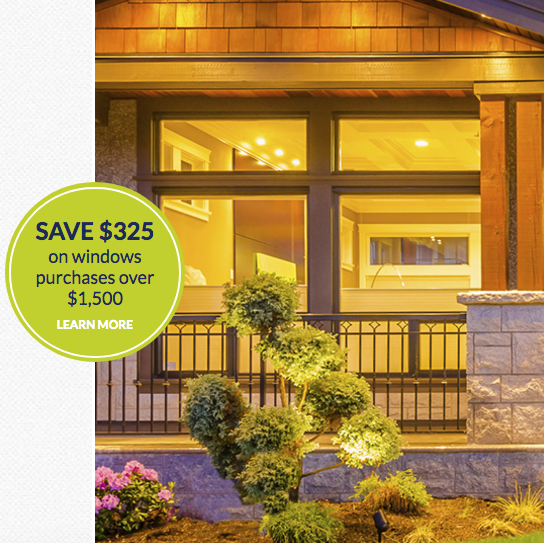 For people who are interested in maintenance-free, more energy-efficient windows, Sears Home Improvement is the vinyl windows expert. Sears has over 2,000 styles from bay and bow windows to double-hung and tilt-in designs and a variety of shutter color options!! There are a number of awesome offers going on right now at Sears Home Services to get our home much more energy efficient and more comfortable for you and your family. Take a look then schedule a free in-home consultation today!! Check out all of the current home improvement offers right here!!! I know that’s ton of information to take in, but take your time. Look over all the links I added, it will really help you out quite a bit I think. While it seems like a lot, it’s more than manageable and the results really speak for themselves. With any and all of these (I’ve done them all, really), they make your house even more of a home. It looks better, it’s worth more, it saves you money, and it makes your home so much more comfortable. Take a look and let me know what you think or if you have done any of these improvements (or plan to) yourself!! These are all such great ways to improve home efficiency. Old windows are huge energy drains. The air just swooshes in through them! We really need to replace our windows. We have those double paned ones, and a few of them are foggy in the middle, which I heard means that the seal is broken.